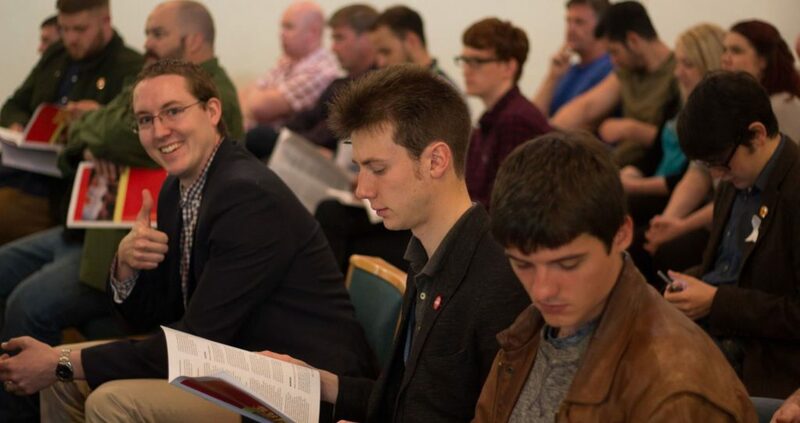 The key question to resolve at the National Conference was our relationship with RISE: Scotland’s Left Alliance, and our prior executive unanimously agreed a motion to present to the party for approval or prior amendments. We also committed to work hard to “build up the SSP’s profile as Scotland’s Socialist Party”, and “invest time and resources identifying and developing the next generation”. There was robust criticism and appraisal of the Holyrood election campaign and the context therein from the floor. The executive’s motion passed overwhelmingly. Beyond this, party members presented and debated a strong seam of policy. The education motions presented immediately after the EC motion were passed, convincingly. With excellent contributions from Joanne Thomson, Frances Curran, Katie Bonnar and Suzanne Wright. Two excellent motions were submitted to improve the current education system. The first was submitted by the Borders Branch and was presented by the newly elected membership secretary, Joanne Thomson. It aims to reduce teacher contact time from 22.5 hours to 20 hours. This is in line with the Nordic Models which are held up to some of the best in the world. More non-contact time would give teachers more time to plan, prepare and quality assure their lessons. This extra time would also provide teachers with the opportunity to customise the curriculum so that it suits the need of every child. Unsurprisingly, the motion passed overwhelmingly. Additionally, a motion from the Glasgow North West/Clydebank Branch was passed which supported the introduction of more apprenticeships and other vocational education into our school system. This should be available to all children in third year of secondary school. This motion was amended by the Highlands and Islands Branch to ensure that apprenticeships and vocational education do not become ‘a second-rate’ choice for those who do not want to pursue academic education. Any scheme would have to be fully funded and pupil choice would be fundamental. With the amendment, this motion was overwhelmingly supported by the membership. The support for these two motions is in line with previous SSP policies which assert that education is a right and not a privilege. In past conferences, the SSP passed motions which would limit the amount of children in a class to twenty. Contrary to the reduced funding to special education, which is happening today, the SSP aims to enhance facilities for pupils with additional needs. The SSP were among the first to campaign for free school meals which the SNP later partially adopted for Primary 1-3 children. The support for education policies at conference marks the start of a rejuvenated focus on developing a better education system for all. One where individual learning styles are recognised and accommodated and where democratic participation and egalitarianism are key. Education is not a commodity but a lifelong and life enhancing passion which is accessible for everyone. Liam McLaughlan moved an Airdrie and Coatbridge motion – with amendment accepted – on currency, sovereignty and banking in an independent Scotland. 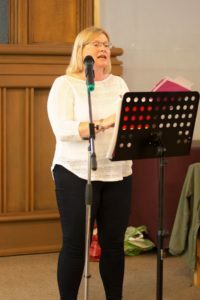 Extension of free public Wi-Fi access across all Scottish cities, from Dundee branch was endorsed by conference, with benefits to personal education and development, accessibility and modern industry, although it was correctly discussed afterwards on the lack of thought for wireless connectivity in rural parts of Scotland. Conference agreed to hold a commemoration of the 100th anniversary of the Russian Revolution – proposed by the Lothians branch -with a smart comradely debate on how best to present it. Glasgow North West / Clydebank branch proposed and strongly debated a radical extension of wages, labour and technological development policy. We are for a minimum 16 hours and maximum 35 hours working week. 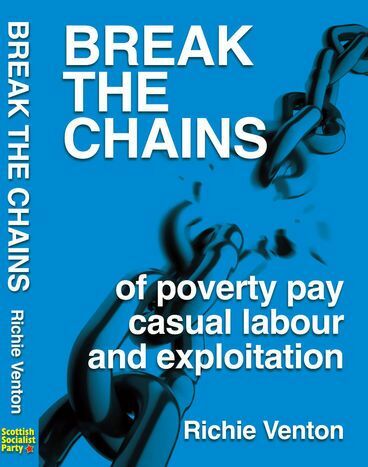 Richie Venton, our re-elected trade union organiser writes more about this. 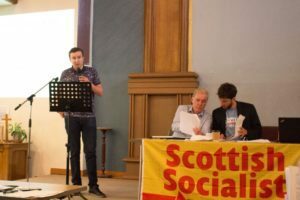 With further motions emphasising the importance of education and “cadre schools”, the Scottish Socialist Party’s policy debate is in rude health. It remains the best place for socialists to be, with the most experienced activists and the best place for socialists to learn, link with others and build skill. Executive Committee election resultsA very long way to go for LGBTQI+ equality!